2.1 All faculty members, including those on sabbatical and secondment to other agencies, REPS in active service, clinical faculty members, emeritus professors and students are eligible for the award. The article must be a complete, solid piece of research. If one’s work (e.g. poem) is included or cited in an article authored by another, the cited portion shall not qualify for the award. In addition, certain articles (e.g. tribute/testimonial to a known figure, book review, letter to the editor, editorial, commentary) shall not qualify. The OVPAA shall evaluate the articles as to their eligibility. On a case-to-case basis, journals that are not indexed in the above but are evaluated by the IPA Committee to be of high quality, owing to the reputation of the board of editors and track record, may be considered eligible for the IPA. 4.1 For articles published in journals indexed in SCIE, AHCI, SSCI, CPCI with no impact factor or in Scopus-listed journals, the maximum amount of the IPA shall be P55,000. Articles published in predatory journals are not eligible to receive the IPA. The head of the unit and the Office of the Vice Chancellor for Research and Development (or its equivalent) are enjoined to evaluate the application and certify that the journal has been vetted by the department to be reputable in their field, is not predatory or does not exhibit predatory characteristics. 4.4 In case of co-authorship, the award shall be divided equally among the number of authors, local and foreign. Only UP-affiliated authors eligible for the award shall receive it, provided the article is published while they are on active service or before their retirement or resignation from the University. Each UP-affiliated author (i.e. affiliated with the University AT THE TIME OF APPLICATION as an enrolled student or a faculty member with an appointment) will receive a share of the IPA equal to P55,000, P65,000, P80,000, P100,000, P125,000 or P155,000, as applicable, divided by the total number of authors. 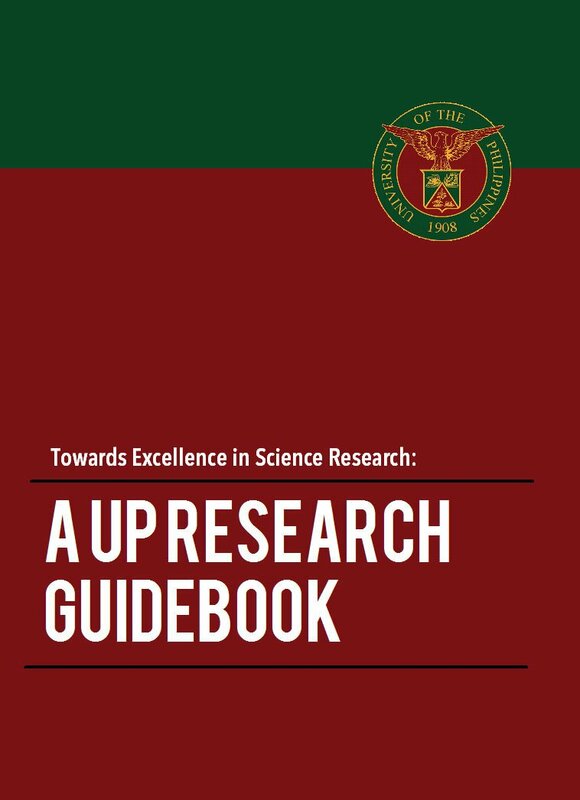 4.5 The IPA per publication for UP units is P15,000. 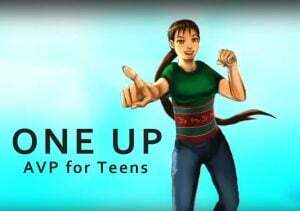 Each UP affiliate unit will receive a pro-rated share of the IPA equal to P15,000 multiplied by the number of authors affiliated with the UP unit divided by the total number of authors. 5.1 The author(s) must clearly be identified as belonging to UP. If the article was produced while on sabbatical abroad or as a result of a joint project with foreign scholars, proper acknowledgement must be given the foreign institution that accommodated the faculty or supported the project; the UP address/affiliation of the author(s) must nonetheless be indicated in the publication as a byline). 5.2 The article must fall within the discipline or related field of the author. For example, a work of poetry shall not be entertained if authored by faculty or REPS outside the field of creative writing, unless there is sufficient proof of prior recognition of the author as a serious practitioner in the field of creative writing as determined by the VPAA, upon consultation with known literary figures. 5.3 Authors eligible for the award may receive it as often as they publish. However, an article may be awarded only once. 5.4 An article for which an IPA was granted shall not qualify again for an IPA if it appears as a chapter in a book published by a reputable international publisher. However, if an article for which the author was awarded an IPA is subsequently developed by an author into a book that is published by a reputable international publisher, the author may be eligible for an IPA in the book category. 5.5 An article which has been published online and assigned a digital object identifier (DOI) can already be applied for an IPA. 6.1 The Department Chair/Institute Director should email the accomplished IPA Form (Form 4.1) with attachments: Citation and Abstract Template, Popular Article Template, Copy of Journal Article, Copy of the Editorial Board Page of the Journal, and Evidence of the author’s identification with UP, to the following address: [email protected]. 6.2 For articles with inter-CU collaboration, each department/institute should submit a separate IPA Form 4.1. 6.3 Henceforth, applications for the IPA must be submitted within one year of the publication date or issuance of a DOI. Applications received after the prescription period will be accepted but will not get the full amount of the monetary award and computed using the rates/guidelines applicable at the time of application. The monetary award shall be reduced by 20% for every month beyond the one year prescribed period. 6.4 Should a publication for which a faculty, REPS or student was awarded later be withdrawn or retracted by the publisher owing to misrepresentation of data or authorship, plagiarism or some unethical act, the author(s) shall return the full amount of the award, without prejudice to the application of other University sanctions. 7.1 The abstracts of all IPA publications will be posted on the OVPAA website (ovpaa.up.edu.ph). 7.2 The author(s) is/are required to submit a popular article about the publication. The popular article (laymanized description of the research) will be featured in the OVPAA website and used as part of UP’s accomplishments for public dissemination. The amounts mentioned in Items 4.1 to 4.4 are applicable to journal articles published from 1 August 2018 onward. Download the revised guidelines and forms. Like the award for journal articles, this award aims to reinforce scholarly publications by faculty, REPS and students and project the University in the global community of academic institutions. 2.1 Regular faculty members, including those on sabbatical and secondment to other agencies, REPS in active service, clinical faculty members, emeritus professors and students are eligible for the award. Only books or chapters of books published by recognized international academic book publishers, prestigious university presses and other highly regarded international publishers shall receive an award. 4.1 Authors of books or book chapters that meet the standards set in these guidelines shall receive a maximum monetary award as follows. Book chapters will be evaluated separately to determine the amount of the monetary award. The criteria for evaluation will be formulated by the IPA committee upon consultation with the different area clusters. 4.2 In the case of co-authorship, the award shall be divided equally among the number of authors, local and foreign. Only UP-affiliated authors eligible for the award shall receive it, provided the book/chapter is published while they are on active service or before their retirement or resignation from the University. 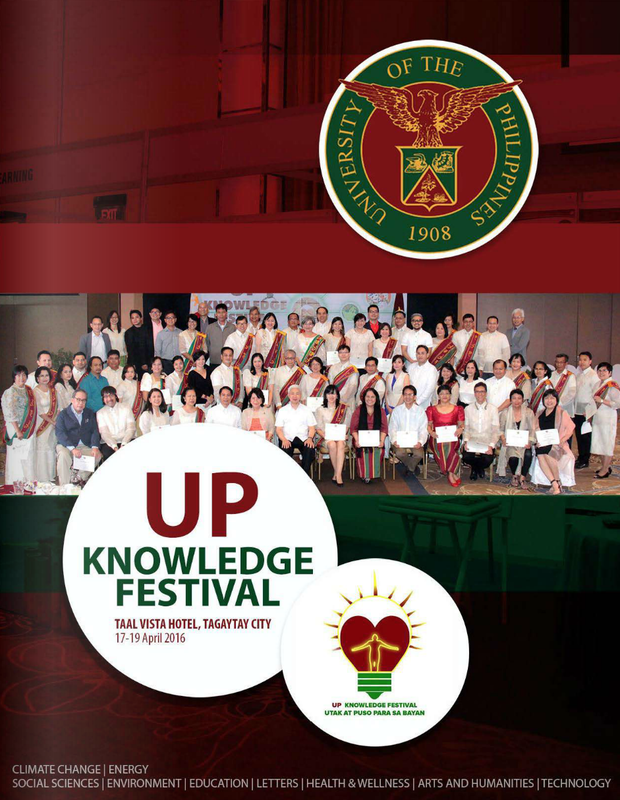 4.3 The IPA per publication for UP units is P15,000. 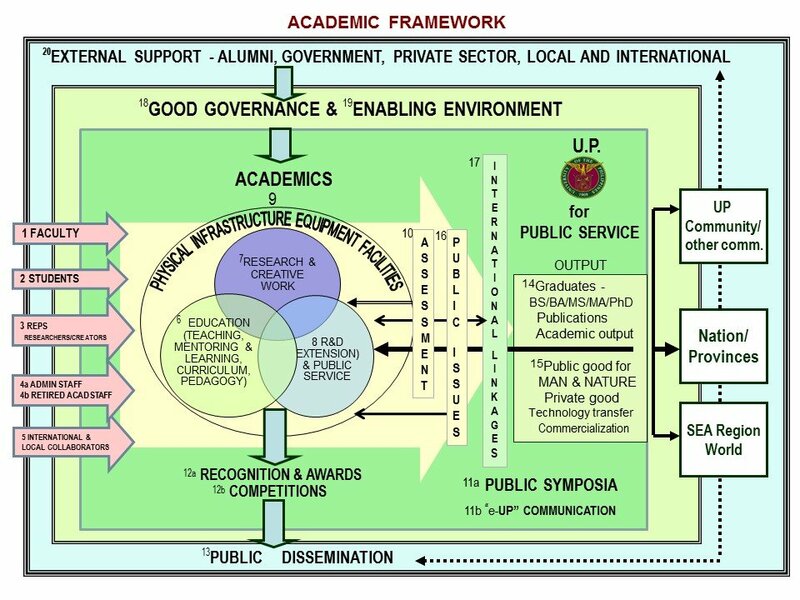 Each UP affiliate unit will receive a pro-rated share of the IPA equal to P15,000 multiplied by the number of authors affiliated with the UP unit divided by the total number of authors. 5.1 The author(s) must clearly be identified as belonging to UP. If the chapter or book was produced while on sabbatical abroad or as a result of a joint project with foreign scholars, proper acknowledgement must be given the foreign institution that accommodated the faculty or supported the project; the UP address/affiliation of the author(s) must nonetheless be indicated in the publication as a byline or in the book’s author information). 5.2 The chapter or book must fall within the discipline or related field of the author. For example, a work of poetry shall not be entertained if authored by faculty or REPS outside the field of creative writing, unless there is sufficient proof of prior recognition of the author as a serious practitioner in the field of creative writing as determined by the VPAA, upon consultation with known literary figures.The chapter must be a complete, solid piece of research or creative work. If one’s work (e.g. poem) is included or cited in achapter or book authored by another, the cited portion shall not qualify for the award. In addition, certain chapters (e.g. tribute/testimonial to a known figure, filler between book chapters) shall not qualify. The VPAA shall evaluate all chapters and books as to their eligibility. 5.3 Books published by foundations, government agencies, NGOs, professional societies, international commissions, and non-academic bodies shall not qualify. 5.4 To qualify, a recently updated book must contain new contributions to knowledge. Books published before the start of the award (1999) shall not qualify. 5.5 Authors eligible for the award may receive it as often as they publish. However, a chapter/book may be awarded only once. 5.6 An article for which an IPA was granted shall not qualify again for an IPA if it appears as a chapter in a book published by a reputable international publisher. However, if a chapter for which the author was awarded an IPA is subsequently developed by an author into a book that is published by a publisher that meets the guidelines in Item 3.0, the author may be eligible for an IPA in the book category. 6.1 The author shall submit an accomplished IPA Form 4.5 together with a copy of the book (to be returned to the author) or the book chapter to the VPAA for evaluation. Copyright pages, table of contents, prefaces, list of authors, evidence of author(s)’ identification with UP, and other pertinent pages shall accompany the copy of the book/chapter. 6.2 Should a publication for which a faculty, REPS or student was awarded later be withdrawn or retracted by the publisher owing to misrepresentation of data or authorship, plagiarism or some unethical act, the author(s) shall return the full amount of the award, without prejudice to the application of other University sanctions. The amounts mentioned in Item 4.1 are applicable to books/chapters of books published from 1 August 2018 onward. See the IPA awardees and read the popular version of their articles.